Volunteer Connect Douglas County is an online community resource connecting volunteers with organizations in Douglas County, Colorado. This unique platform serves as a recruiting and data management tool. 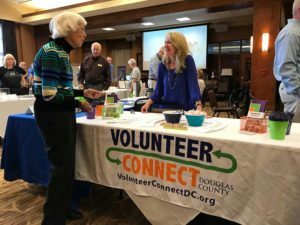 If your organization needs volunteers, become a member of Volunteer Connect Douglas County and utilize this resource to post your volunteer opportunities. Learn more below. Track hours for volunteer recognition, grant proposals, etc. And … volunteers love this tool! Membership fees are based on your organization’s annual operating budget. Complete the Membership Application and submit to: lodell@dclibraries.org.